In theory Simon is right. This field, the two-lane highway and nearby Mirabel Airport are stretched across a vast plot of land the king of France ceded to Kanesatake’s Mohawks in 1733. For centuries Simon’s ancestors hunted deer, gathered medicines and buried their dead along the southern banks of the Rivière du Nord. 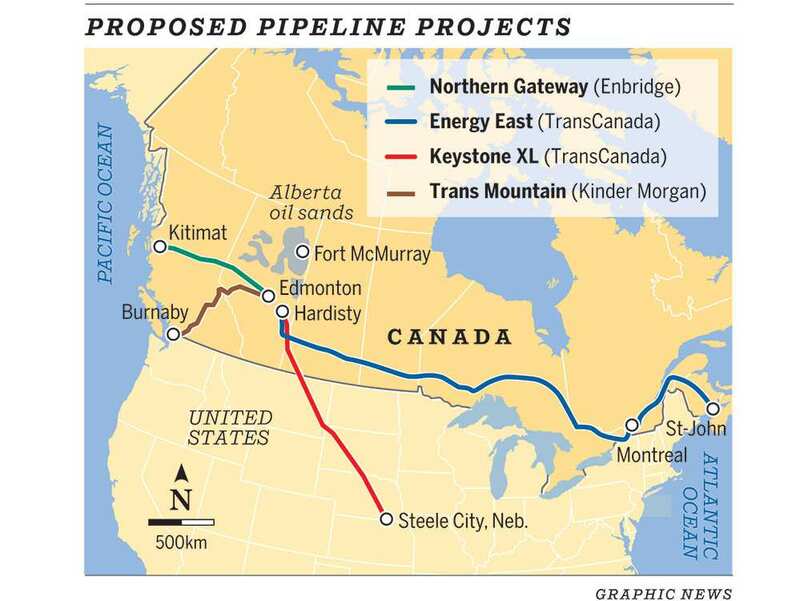 The main proposed pipelines originating from Alberta’s tar sands. Map: Montreal Gazette. They don’t have the backing of major political parties or corporations but people like Simon are becoming the de-facto face of Canada’s fragmented anti-pipeline movement. 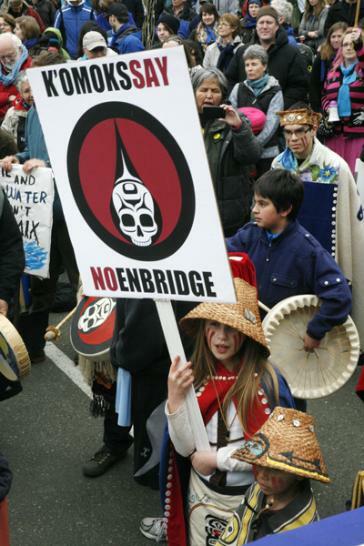 The duty to consult and the oil-centric composition of the NEB are at the heart of a series of legal challenges from British Columbia First Nations to Enbrigde’s proposed Northern Gateway pipeline — which would link the Alberta oilsands with terminals along coastal B.C. 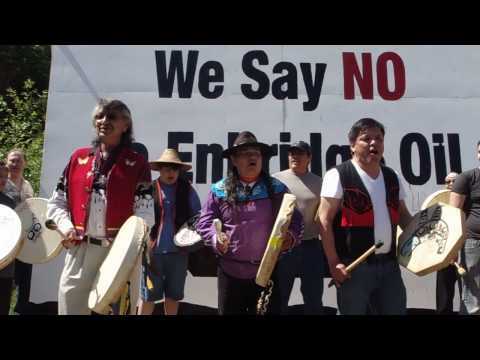 Natives and environmentalists protest Enbridge hearings in Comox, 2012. For all the expertise they brought to the table, however, Housty says that Enbridge, the NEB and the Crown still haven’t answered the herring question. Housty says they could only provide the Heiltsuk with prediction models on herring stocks. Further compounding Housty’s grievances, the NEB refused to consider the expert testimony of Heiltsuk fisherman who’d spent a lifetime experiencing the effect of depleted herring stocks in the northern Pacific. The Pull Together Fund — as it later became known — started with a spaghetti dinner in rural B.C. The event raised $3,000. Subsequent bake sales, movie nights and other community fund raisers kept the fight alive, one $20 bill at a time. It’s an example of the faith that some non-aboriginal environmental groups have placed in First Nations’ hopes of stopping Northern Gateway. 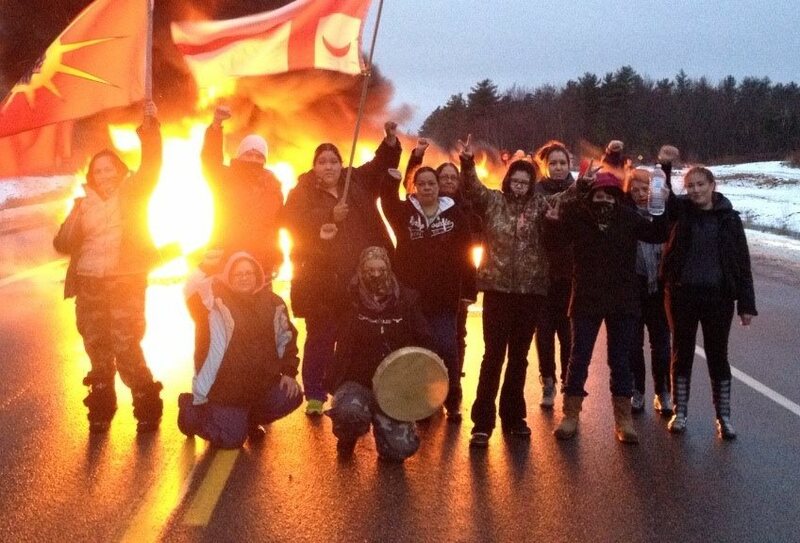 Members of Yinka Dene Alliance during anti-Enbridge rally. “We’ll fight until we win,” she says. “Canadian law is a system of law but it isn’t our only system of law. We have what we consider to be a higher law that we derive from our relationship to our territory and to each other. They have prevented developers from entering the territory and say they stand in the way of projects by Chevron, Enbridge and TransCanada. Using pickup trucks, plywood and what appears to be barbed wire, the Unist’ot’en Clan sealed off a wooden bridge that links logging roads along the Wedzin Kwah River. Chevron uses the gravel roads to cut a path through the dense spruce forest. But their employees are routinely visited by the protesters, who remain peaceful but insist they won’t be evicted from their traditional land. Ultimately Augustine was beaten, shot with beanbag bullets and thrown in prison for his role in the protests. The fisherman and father of three spent 14 days in solitary confinement and pleaded guilty to assaulting a police officer. And while conditions of his probation prevent him from participating in further direct action protests, he says he’s willing to put everything on the line to protect traditional Mi’kmaq fisheries from a potential oil spill. TransCanada signed some 32 capacity funding agreements with indigenous groups along the Energy East route. 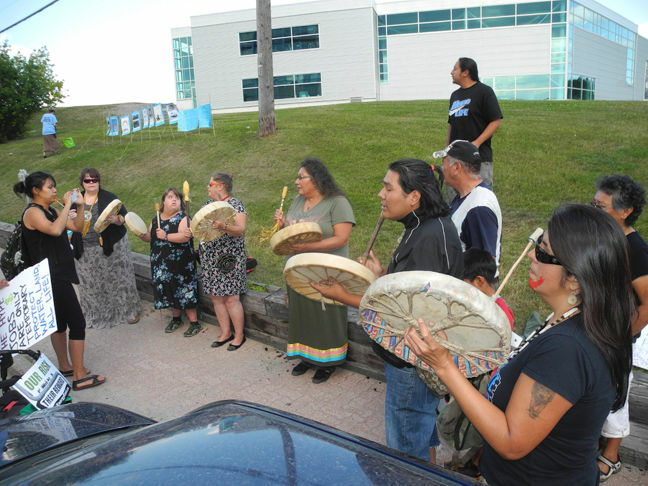 Through the capacity funding process, TransCanada pays for impact studies, the First Nations identify any potential harm the pipeline could cause their land and both groups reach some sort of settlement. Both TransCanada and Enbridge have spent millions of dollars to pay for First Nations to participate in the NEB consultation process and say this funding comes without any strings attached. The participation funding covers transportation fees and the costs of hiring environmental experts — though, critics argue, that money is scarcely enough for First Nations to truly understand the potential impacts of the project on their territories. The council used the money to pay an adviser from the Centre for First Nations Governance but ultimately chose not to engage any further in the process. Simon says he backed out because he was afraid that any information he divulges about traditional Mohawk hunting grounds could later be used against his band in the federal land claims process. Simon is still standing in the middle of some field by the highway, projecting his voice over the sound of traffic and the steady hum of a thousand crickets. “When these groups get together, then we’re going to go to Equiterre and ask, ‘Can you help us?’ We’ll chip in whatever we can. The most fringe elements of the anti-pipeline movement are willing to be beaten, jailed and risk death for their cause. On the other end of the spectrum, pipeline manufacturers may have the backing of Canada’s political establishment, but there are also billions of dollars at stake. 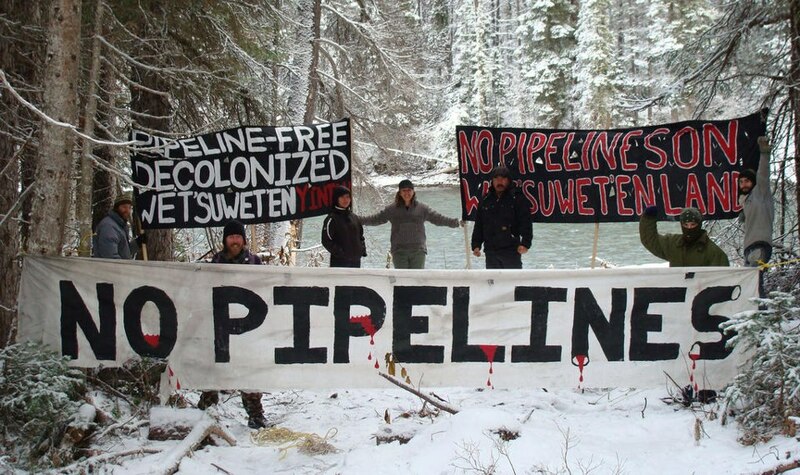 Posted on September 5, 2015, in Oil & Gas and tagged alberta tar sands, Enbridge, Enbridge Northern Gateway pipeline, Energy East Pipeline, Keystone XL, Kinder Morgan Trans Mountain pipeline, oil and gas pipelines+Indigenous resistance. Bookmark the permalink. 1 Comment.